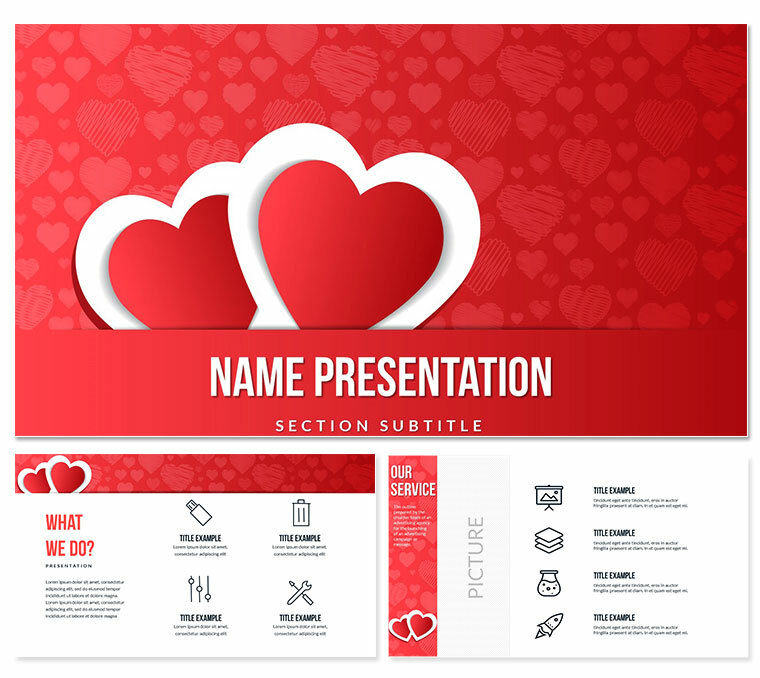 Valentine Greetings PowerPoint template with thematic background and themes (slides and formatted text). On the red background of the Valentine Greetings template there is an illustration of the symbol of love, as well as two big loving hearts. Ready-to-use template will help you quickly and professionally arrange an existing one or create a new congratulatory presentation.